This article will provide you with a list of paramedic schools in New York where you can get admissions information, send applications, and graduate from in order to get a job as a working EMT Paramedic. It’s extremely important to know that the career of EMTs and paramedics is on the rise. In fact, according to the U.S. Bureau of Labor Statistics (BLS), employment of EMTs and paramedics is expected to rise twenty-three percent from the year 2012 to 2022. That is much faster than the average for other career fields, and it should give EMS students peace of mind knowing that they are entering a career field that is on the rise, rather than on the decline. As far as paramedic salary is concerned, the pay rate for EMTs and paramedics can vary quite a bit. This is mostly due to region, as someone working in New York is likely to may more money than a paramedic in the mid-west. Still, the median salary for EMTs and medics, according to the BLS, is $31,020. Strong EMT and paramedic traits are essential to the job, as well. A lot of discussion goes into how much you can lift, or how educated or trained you are, but at the end of the day, patients want to feel like you genuinely understand their pain and concerns, and that you care about their health. And if you work in EMS, you really and truly should care about people and their well-being. Don’t treat this as “just another job,” because it’s not. People are counting on you. If you need to discover paramedic training schools in your local area, make sure to visit our homepage for a complete listing. How Much Weight Does a Paramedic Need to Lift? 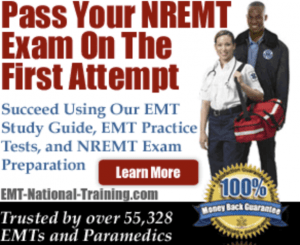 EMT certification in Oklahoma can be availed after obtaining national level EMT certification.